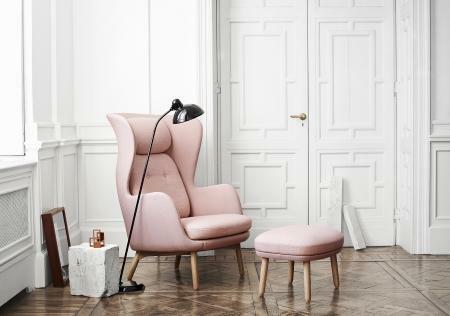 The Lounge Chair Ro by Jaime Hayon for the Danish manufacturer Fritz Hansen is thanks to its inviting shape and its impressive proportions, the perfect companion for reading and relaxing. 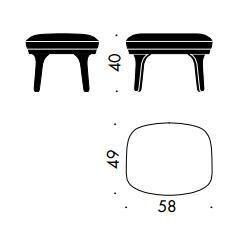 In addition to the Fritz Hansen chair a foot stool is available, and which provides additional comfort. Please also read the manufacturer's care instructions. 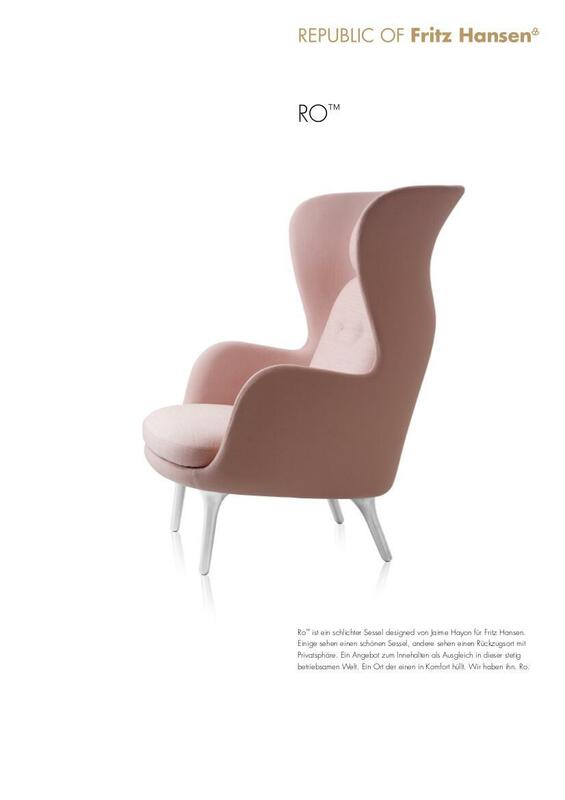 Fritz Hansen offers an extended warranty if you register your Ro ™ chair/foot stool register online at fritzhansen.com/MY-REPUBLIC. 5 years on: fabric, cushions, frame: oak, leather: soft. 10 years on: shell, frame: brushed aluminium, leather: natural, Rustic, Elegance, Sense. Ordinary wear and damage are excluded from the warranty! Datasheet Please click on picture for detailed information (ca. 1,0 MB). 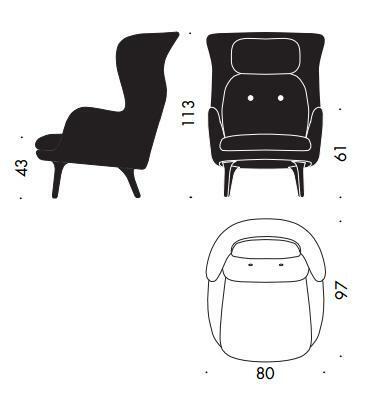 The lounge chair Ro was designed by Jaime Hayon for Fritz Hansen and has been part of the extensive and successful portfolio of the Danish manufacturer since 2013. 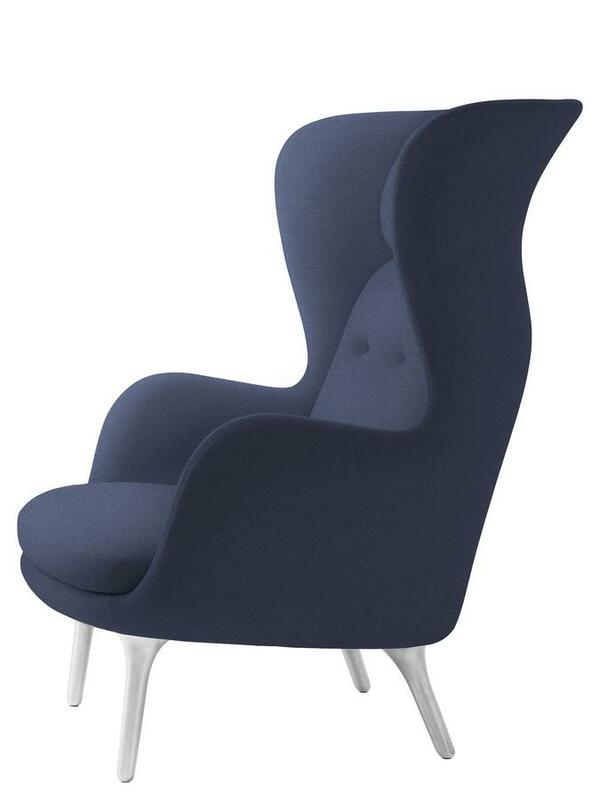 Available in a choice of materials the seat shell is formed from polyurethane foam with fibreglass reinforced edges, just as with the classic Egg Chair and Swan Chair that Arne Jacobsen designed for Fritz Hansen. 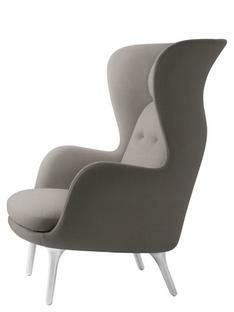 The feet of Ro chair are crafted from brushed aluminium, are however also available on request in solid oak. 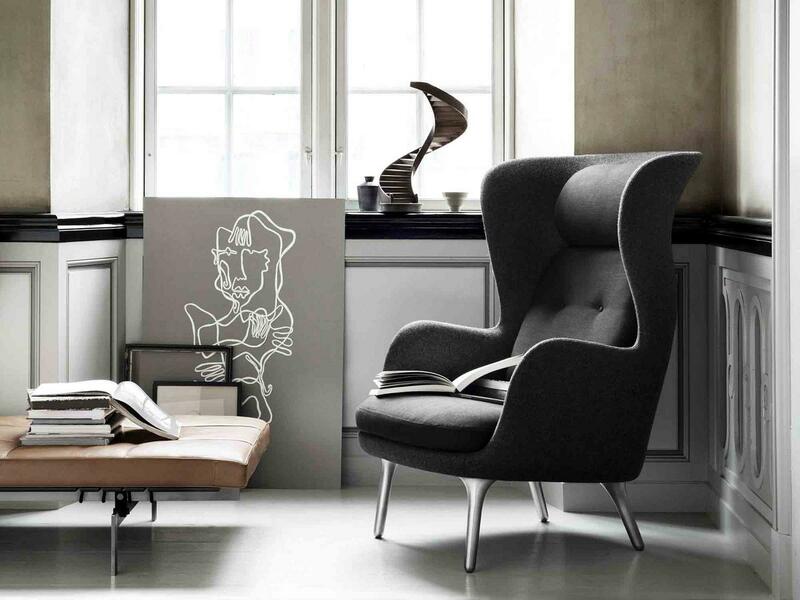 With its inviting shape and its impressive proportions the Fritz Hansen Lounge chair is the perfect companion for reading and relaxing. The high backrest and the headrest give the designer furniture the look of a classic wing chair and ensures a high level of both seating comfort and aesthetic compatibility. 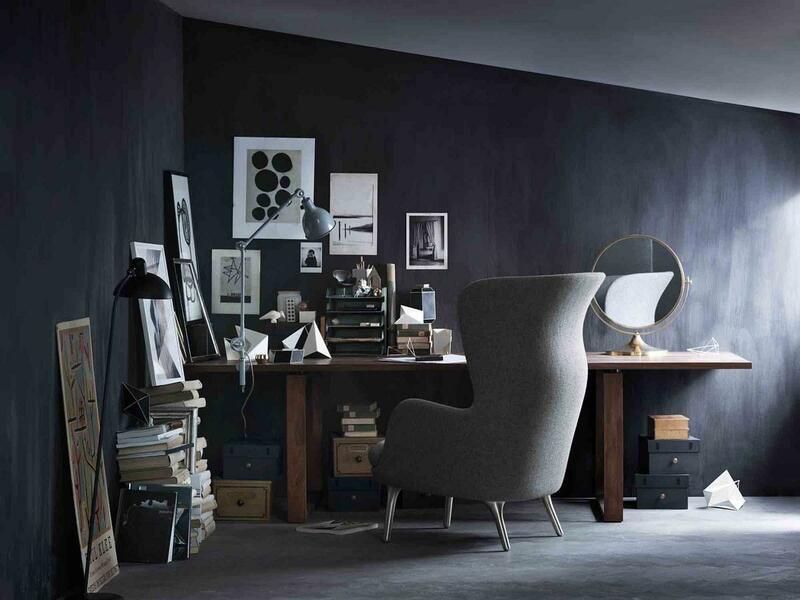 The carpenter Fritz Hansen established his workshop in 1872 and began with the production of his own furniture in 1885. 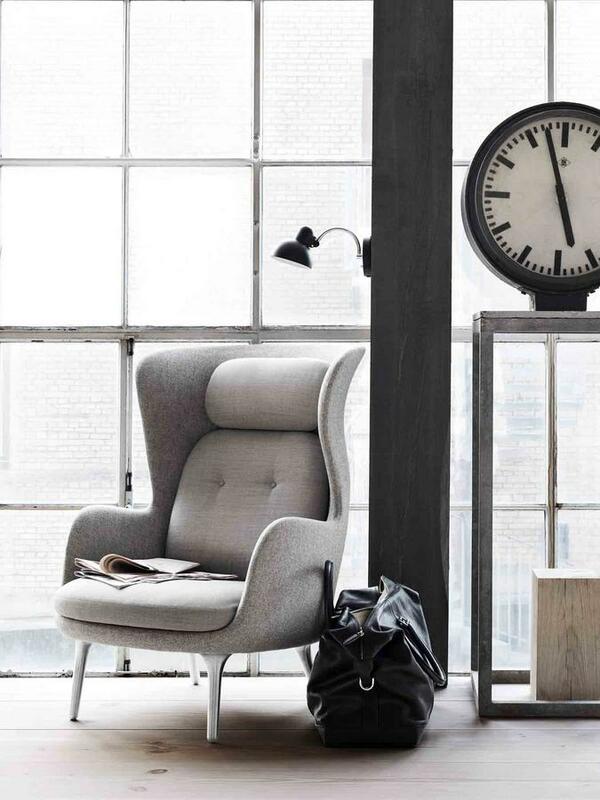 In its long company history the Danish furniture manufacturer has cooperated with numerous international designers, most notably with the Danish architect Arne Jacobsen, and has grown to become a leading international furniture producer and by-word for quality and comfort.